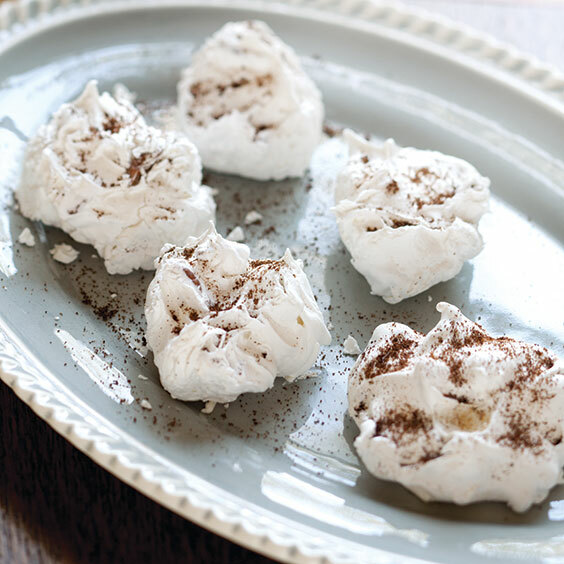 This classic Southern candy is delicious but temperamental; be sure you make it on a dry day so it sets up properly. Line rimmed baking sheets with wax paper, and spray with nonstick cooking spray. 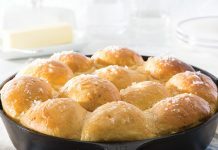 In a large heavy-bottomed saucepan, bring sugar and next 3 ingredients to a boil over medium heat, stirring just until sugar dissolves. 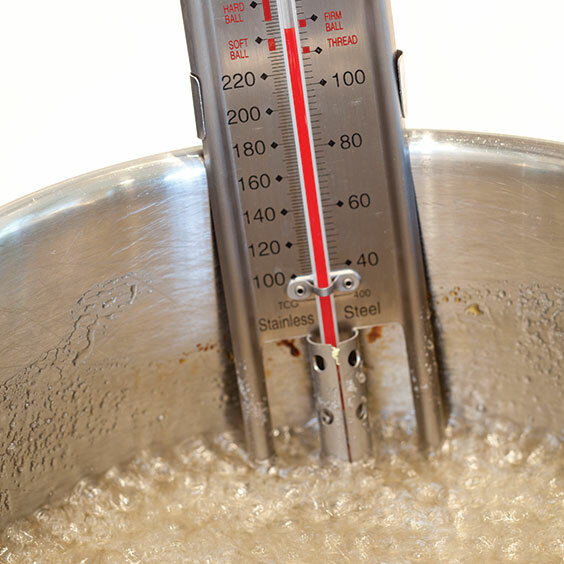 Cook, stirring occasionally, until mixture reaches 248° on a candy thermometer. Meanwhile, in a medium bowl, beat egg whites with a mixer at high speed until stiff peaks form. 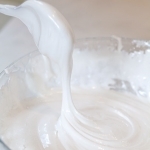 Pour hot syrup in a thin stream down side of bowl into egg whites, beating constantly at high speed for 5 to 7 minutes or until mixture holds its shape. Stir in chopped pecans and vanilla. Working quickly, drop mixture by rounded tablespoonfuls onto prepared pan. Let cool completely. 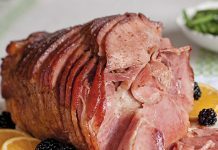 Garnish with espresso powder or cocoa powder, if desired. Store in airtight containers for up to 3 days. 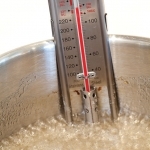 STEP 1: When cooking and stirring the mixture of sugar, corn syrup, water, and salt, remember that 248° is the magic number on the candy thermometer. 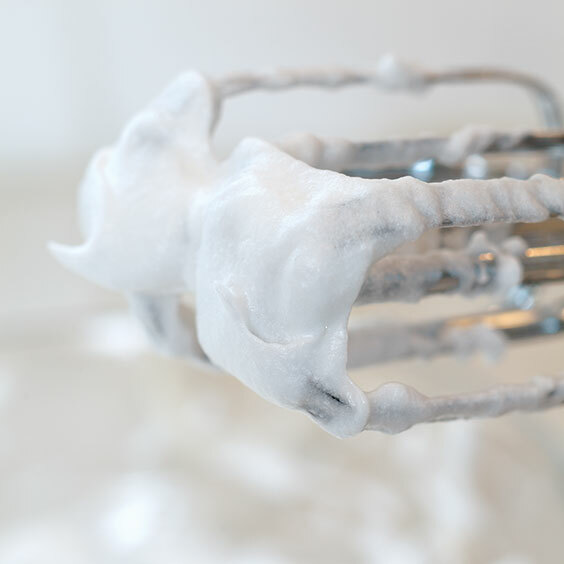 STEP 2: When beating egg whites, there are a few very important things to know. 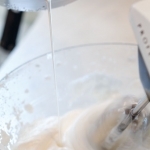 First, start with egg whites that are at room temperature. 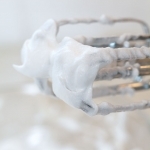 Next, make sure the bowl and beaters are clean (any grease can reduce the volume of your beaten egg whites). 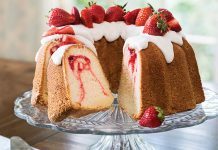 Beat at high speed with a mixer until stiff peaks form. STEP 3: When pouring the hot syrup (remember it should be at a temperature of 248°) into the beaten egg whites, make certain to pour it in a thin stream down the side of the bowl while beating constantly at high speed with the mixer. STEP 4: The divinity is ready when it starts to hold its shape in the bowl. Stir in the pecans and vanilla. Remember to work quickly when dropping the divinity by rounded tablespoonfuls.